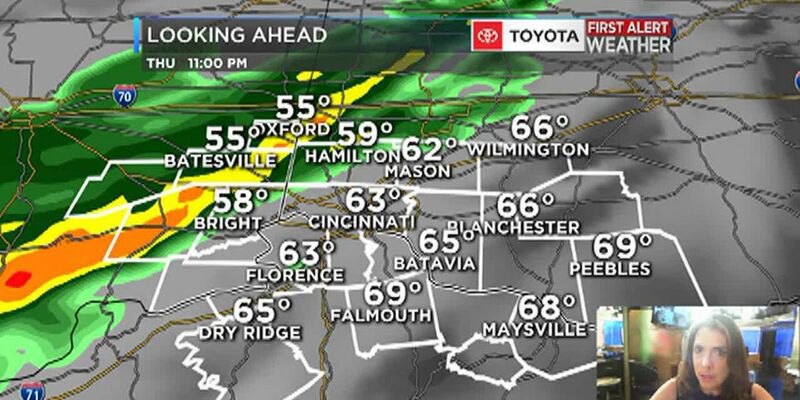 CINCINNATI, OH (FOX19) - Look for sunshine with clouds on the increase this afternoon and a high of 60 degrees. By the evening commute the sky will be mostly cloudy but roads will be dry. Scattered light showers moving in after 7pm with chances from time-to-time into Saturday morning. 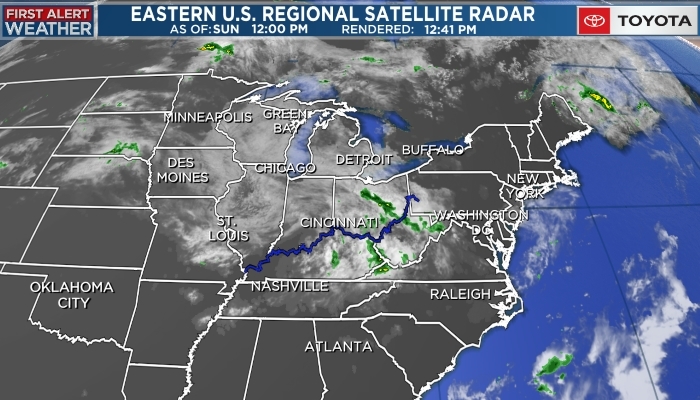 From about 9 a.m. Saturday into the evening the weather will be dry. A moderately strong disturbance at jet stream level will propel cold air into the region starting Saturday night. As the temperature drops during the overnight period, the air will be just cold enough for the possibility of a few wet flakes of snow mixed with the rain showers. Ground temperatures are still much warmer than freezing and there is no chance of icy roads by Sunday morning. On Sunday the sky will clear with a high of 49 degrees.